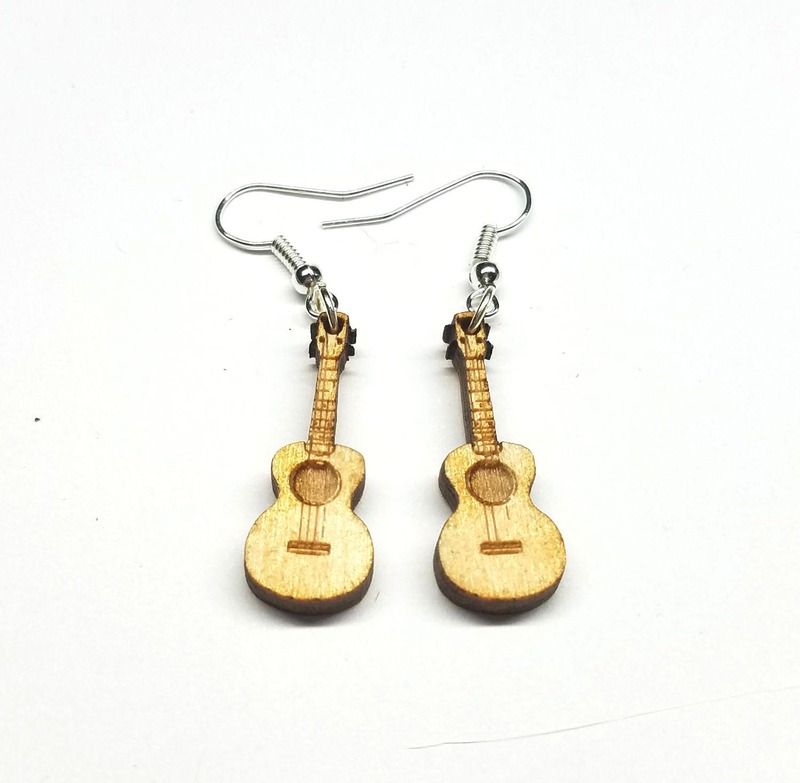 Some awesome Ukelele earrings perfect to dangle from your ears as you strum a lovely tune. + Made from 1/8 inch thick birch wood. These earrings came quickly and are so detailed, lightweight... Adorable! My daughter is going to love them!! 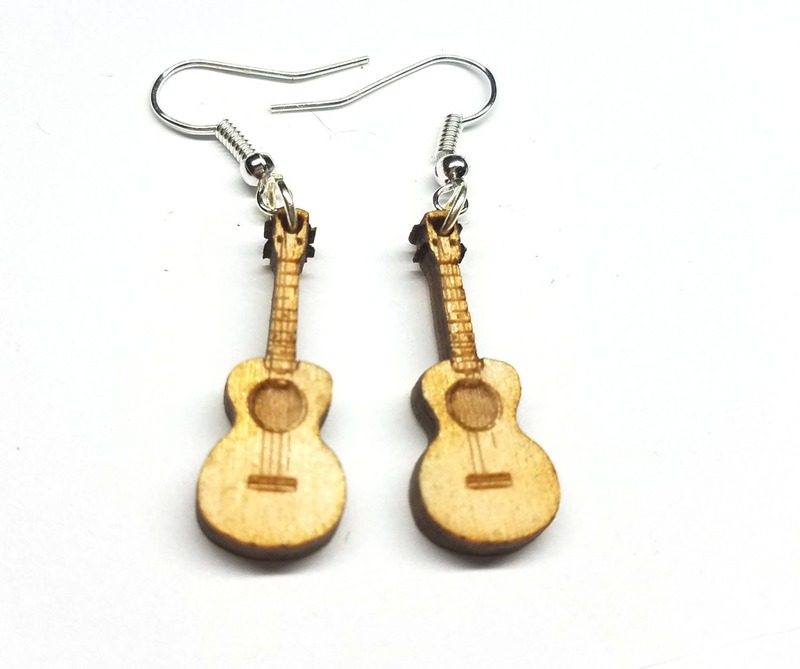 My niece will love the ukulele earrings. These are dainty and just as pictured-fast delivery and excellent transaction!